I thought this may be a useful post for visitors to Hong Kong. The public toilets in the city are not many, and they are not really clean. Hong Kongers shirk them and prefer to use toilets in shopping malls which are indeed many, or in McDonald’s restaurants, which are in every corner, or the big Chinese restaurants (酒樓) which are everywhere too. Don’t try to find toilets in Hong kong’s MTR stations. They have no toilets unless it is East Rail Line (Between Hung Hom and Tuen Mun) and West Rail Line (Between Hung Hom and Lo Wu / Lok Ma Chau). 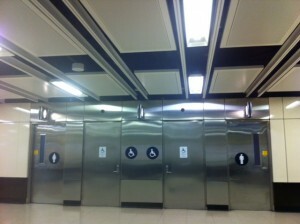 Both MTR lines have toilets in each of their stations. Therefore, Tsim Sha Tsui East station on East Rail line, has toilet, but not Tsim Sha Tsui station on Tsuen Wan line, though the latter station is much busier than the former. 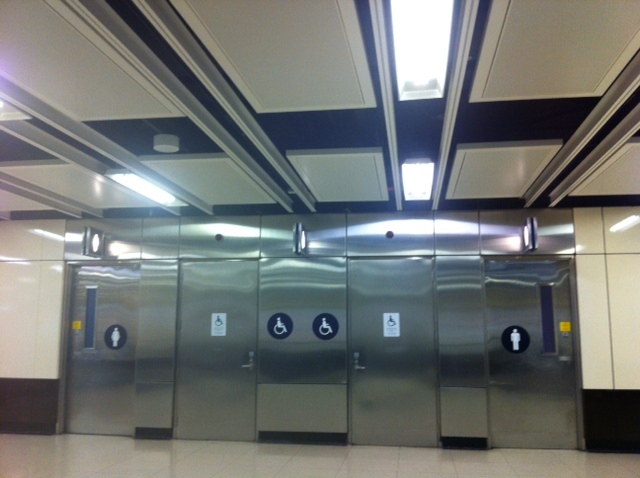 There are no signs but there are toilets inside the mtr stations. You just have to ask the staffs to open the door for you because they are staff toilets. Lee’s comment is true. this comment not true. just go to any mtr station that is not on east or west rail line, did you see any toilet sign? what the mtr company link shows is the public toilets in the vicinity of mtr stations, not inside the mtr stations. You may add that Quarry Bay Station also has toilets, just next to exits B and C.
As a foreigner coming from a 3rd-world country, I find Hong Kong public toilets really clean. At least compared to those “public” toilets you can find in my home country, Mexico, where you most likely would need to pay like HKD$2.00 and then find out they are in terrible condition. Just sayin’ lol.